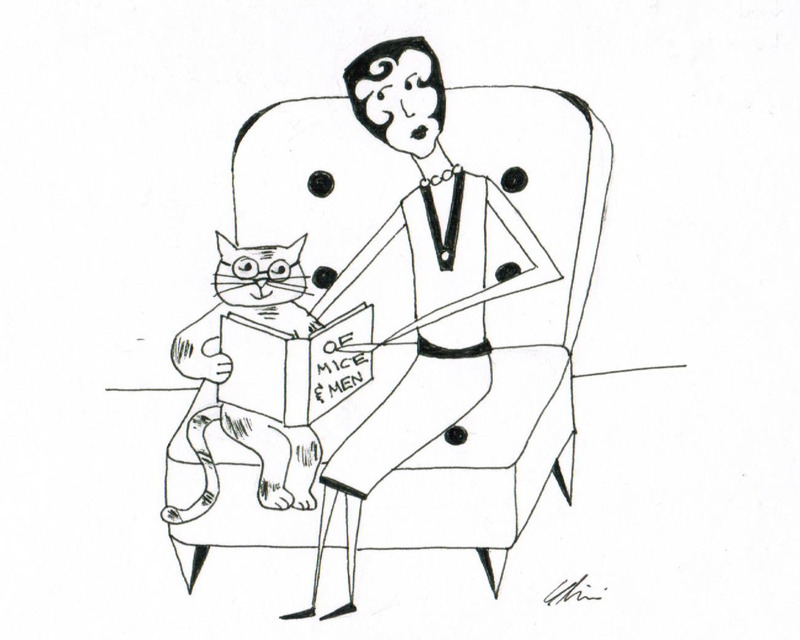 Being a book-lover, I curled up with my cat to read a classic. Being a book-lover, my cat curled up with me while I read a classic. Remember: Friends don’t let friends misuse participial phrases. When the news is filled with stories of explosions and gunfire and ricin-laced letters, it can be hard to remember that words still have power in this world. But they do, for better or worse — and we saw the full force of this late yesterday and early today, when self-proclaimed social media vigilantes made a false connection between a photo of a Boston bombing suspect and Sunil Tripathi, a Brown University student missing since mid-March. Based on the scattered information about this, it’s hard to tell how this pernicious idea took flight. It seems like a perfect storm of misinformation from several places: A disturbingly self-congratulatory Reddit thread (the Reddit moderator apologized to Tripathi’s family); Tweets saying that Tripathi’s name was supposedly mentioned on a Boston police scanner; a Twitter post from an old classmate of Tripathi’s who thought he looked an awful lot like one of the Boston bombing suspects; and the NBC Cleveland affiliate that made the erroneous leap of identifying Tripathi as a suspect despite the lack of any evidence. 1.) Just because we have access to the Internet, it doesn’t mean we’re “citizen detectives.” Salon.com published a great piece about how while the Web played an important role in rapidly disseminating information that led to the successful ID of the Boston bombers, it also led to an alarming number of “citizen detectives” who falsely identified and accused Sunil Tripathi. The fallout that followed was awful — Tripathi’s family had to take down the Facebook page set up to help find Sunil because of the abusive comments. Fortunately, the page is back up and the apologies are rolling in, but the Internet owes the Tripathi family a collective apology for this witch-hunt style behavior. 2.) Just because we have the ability to post breaking news whenever we want, it doesn’t mean we should do it without substantiating facts. The ability to share information across the world with the touch of a button is a good thing. Just look at the role Twitter played in the Arab Spring or how mass media alerts spread the word that Boston residents should stay inside due to one of the bombing suspects being on the loose in the area (let’s hope he’s apprehended quickly and that the city of Boston is able to begin healing soon). But we need to acknowledge the danger of this as well. What if Tripathi’s name hadn’t been cleared so quickly? Who knows how many people’s names live on on the Internet, connected to pasts or crimes that they have no part in? 3.) Just because you’re a “regular person” posting something on the Internet, it doesn’t mean you aren’t publishing for the world to see. 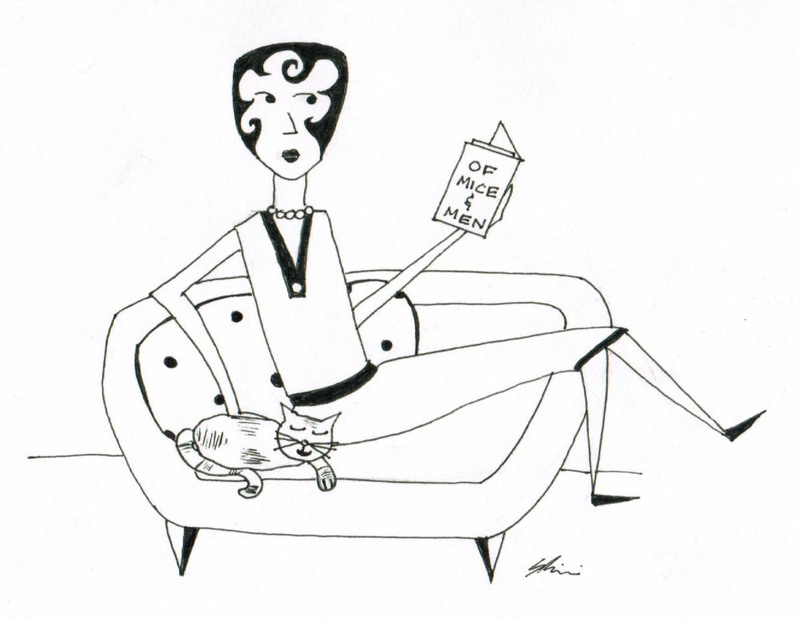 In the age of the Internet, we are ALL self-published. Everything we post on Twitter, Facebook or a blog is a piece of content that’s published for the public to read. As an editor, I come across a lot of crazy comments on the Web every day — for better or worse, the Internet gives voice to any rant or rave by anyone who wants their ideas to be heard. Again, democratizing debate can be a good thing. But when we use these tools to slander or launch smear campaigns (however unwittingly) we should take pause and remember that the only publishers aren’t newspapers or book publishers. We need to take this responsibility seriously. 4.) Just because somebody has brown skin or seems different, it doesn’t mean they fit the profile of a terrorist. I shouldn’t even have to add this to the list, but the events of the last day prove that I do. As Angry Asian Man points out, Tripathi bears little resemblance to the photos released of the Boston bombing suspects. But that’s besides the point. When we let horrible acts carried out by a few disturbed individuals affect how we treat entire groups of people, our society continues to be a victim of terrorism every day by surrendering our sense of humanity. Remember the Saudi Marathon Man, whose unfair, harsh treatment after the bombing was so poignantly profiled by The New Yorker. 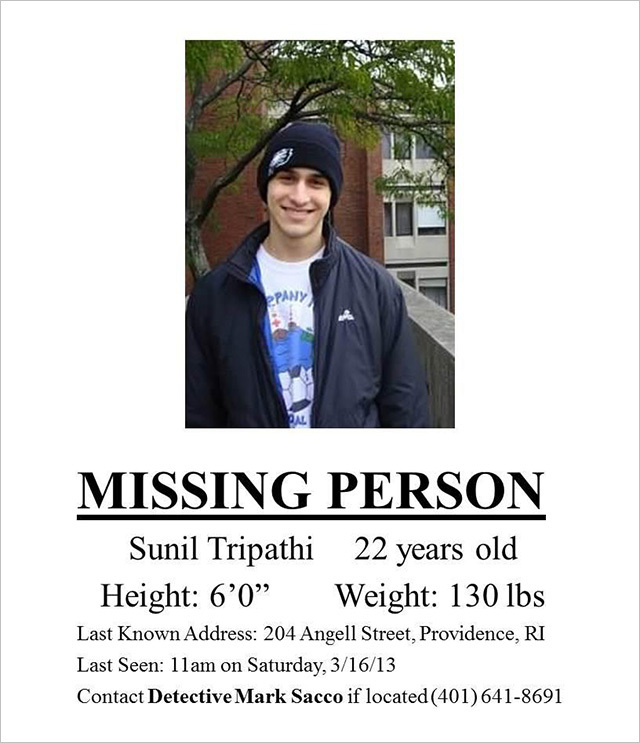 Lastly, as Angry Asian Man also points out, Sunil Tripathi is still missing — and he has been since March 16th. If we have to find a silver lining in the madness involving his name over the last 24 hours, let’s hope that the spotlight raises awareness and brings him home. When something like the bombings at the Boston Marathon happens, there are no words to describe the horror, both physical and emotional, that the bystanders endure. We call it a catastrophe, an act of terror and a tragedy — all of which are true, but none of which help us understand the meaning of what has happened. Ultimately, words fail us when we try to make sense out of something so senseless. Yesterday morning, before we knew how the day would unfold, I heard on the radio that April 15th is a bad day in history (taxes aside). It’s the day Lincoln was assassinated in 1865, the day the Titanic sank in 1912, and now, the day of the tragedy in Boston. Technically, there is a word for this. The word ‘dismal‘ comes from the Anglo-Norman French dis mal and the medieval Latin dies mali (or ‘evil days’) that denoted the two days in each month that were believed to be unlucky. 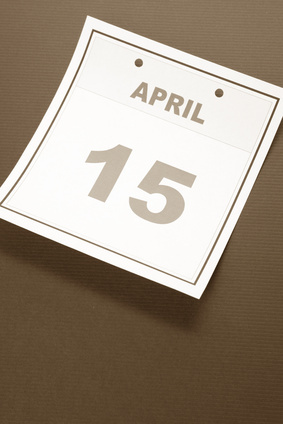 We can certainly call 4/15/13 dismal. But that being said, it’s also important to separate today’s acts of terror from other tragic events in history that happened to fall on April 15th. Saying that a day is inherently unlucky diminishes the presence of agency — that is, the fact that someone (or several people) consciously chose to commit a heinous act against humanity. That it falls on the same day as other infamous events is an unhappy coincidence — but does it mean something? It’s only natural that we try to find meaning in tragedies. And indeed, we can find meaning in another act of agency — that is, the heroism that restores our faith in humanity that hangs by a thread after something horrific happens. In the midst of bloodshed, there were acts of awesomeness: The runners who kept on running to local hospitals to donate blood after finishing the marathon; the first responders who went back into the carnage to help victims; and the strangers who offered up homes and meals to help the stranded. There’s a word (or words) for this too — it’s the human spirit. As The New Yorker noted, the choice to bomb a marathon was an attempt to shatter this. But it turns out, this isn’t such an easy thing to break. The important thing to remember as we move forward is that the vast majority of us are on the same team — we can’t fight amongst ourselves or let fear mongering get the best of us. As long as we remember that even in the face of a dismal tragedy, we still have the agency to help one another and be heroes, then we don’t resign ourselves to history. We triumph by demanding and believing that humanity deserves so much better. A good insult is a thing of beauty. Nobody understood this better than William Shakespeare, whose biting wit was so memorable, it continues to shape how remember historical figures like Richard III — the short-lived King of England who reigned from 1483 to 1485. Just a few weeks ago, the remains of Richard III were dug up under a parking lot in Leicester, England and identified using some pretty fancy DNA-based technology. The discovery has reignited the debate over who Richard III truly was — was he a villain, victim or tragic hero? Some scholars say Richard III was the victim of a smear campaign — anti-Plantagenet propaganda commissioned by the Tudor Dynasty and perpetuated during their 120-year reign after Richard III’s death. Whether Shakespeare intended to portray Richard III as a villain or parody this overwrought propaganda is open to debate. But there’s no doubt that his play is a major factor in how we view Richard III today. 1. Thou elvish-marked, abortive, rooting hog! Thou poisonous bunch-back’d toad! Ouch. Your mama jokes have nothing on these insults used to describe Richard III, whose scoliosis gave him a hunchback and who was portrayed as being corrupt and vile. 2. Away, you scullion! You rampallian! You fustilarian! This fine line comes from Henry IV, and boy is it a doozy. It basically means, “Get away from me, you menial servant! You scamp! You low-life stinkard!” Let that one sink in. 3. I do repent the tedious minutes I with you have spent. A Midsummer Night’s Dream is basically the world’s greatest insult factory. Remember that repenting in Elizabethan times meant you were really darn sorry you did something. 4. 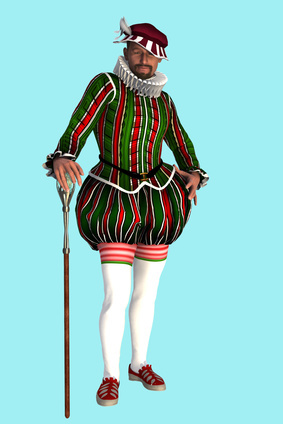 No longer from head to foot than from hip to hip: she is spherical, like a globe; I could find out countries in her. Okay, Dromio of Syracuse, we get it … she’s a little rotund. This winner from the Comedy of Errors is a reminder of what not to say to or about, well, pretty much any woman ever. 5. [Thou art] a knave; a rascal; an eater of broken meats; base, proud, shallow, beggarly, three-suited, hundred-pound, filthy, worsted-stocking knave; a lily-livered, action-taking knave, a whoreson, glass-gazing, super-serviceable finical rogue; one-trunk-inheriting slave. And with that, I leave you to create your own Shakespearean insults — because they’re so much better than any four-letter word. After all, being a master of witty insults is likely to make you a more memorable person. From Shakespeare to Thaddeus Stevens to Mark Twain, our favorite wordsmiths knew how to tell people off in style. 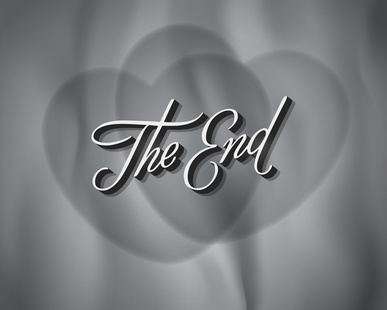 Is technology ruining the language of love in romantic movies? In honor of Valentine’s Day, I wrote a piece for The Huffington Post called Love Notes From a Smartphone: Is Technology Ruining Romantic Movies? It’s not because I think romance is dead (in the movies or in real life, for that matter). But it’s because how we communicate about love has changed significantly with the advent of smartphones and social media. This is especially noticeable in romantic movies, from comedies to dramas and everything in between. This simple, charming tale takes place over the course of one day, when 20-somethings Jesse and Celine meet on a train in Europe. They’re immediately attracted to one another and spend the day in deep conversation as they roam the streets of Vienna. But as their romantic evening comes to a close, it becomes clear that this will likely be the only night they have to spend together since they have other lives to return to. Just before they bid farewell at the train station, they agree to meet in the same place six months to the day. 21st century ending: There’s no need for the heartbreaking sequels, Before Sunset (2004) and Before Midnight (2013), because Jesse and Celine exchange email addresses before they go their separate ways. After getting back to their normal lives, they find each other on Facebook and start Skype chatting with each other. A serendipitous Facebook posts reveals that they’ll be in the same city again in a few months, so they decide to meet in person again rather than leaving it up to chance. They live happily ever after. So there you have it. While technology is an amazing tool for couples separated by great distances, it doesn’t do much for epic romance movies. Just consider You’ve Got Mail, which doesn’t quite make the cut as one of Nora Ephron’s timeless romantic classics. Maybe that’s because the story gets overshadowed in our memories by the now outdated AOL references and dial-up Internet. Be still my beating heart.